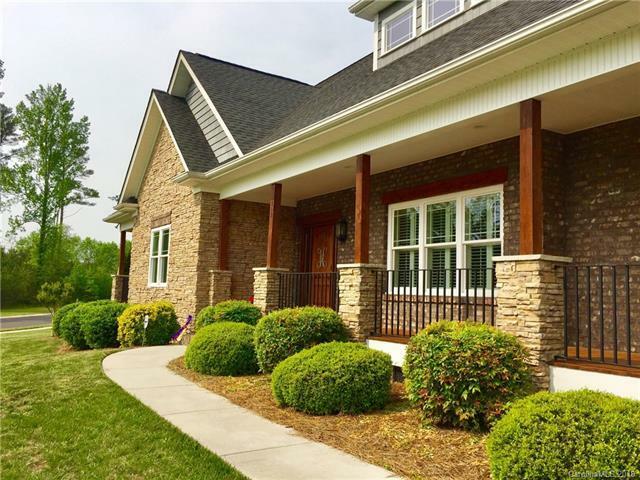 This custom built home is located in the desirable Ruby Ridge neighborhood in Oakboro, NC. Built in 2009, the exterior features brick, stone columns, & cedar shake finishes, along w/ a wrap around front porch. The interior is filled w/ custom details including crown moldings, bronze fixtures and stunning hardwood floors throughout, w/ exception to the carpeted bonus room & 2 other bdrms. The large kitchen features stainless appliances, granite counter tops & island, and custom cabinets. The living room has a vaulted ceiling & stone fireplace w/ gas logs. The spacious master bdrm has his & her walk-in closets, & a private bath w/ a double vanity, a separate glass shower, large tub & an entrance to a private balcony. Finishes in all bathrooms include granite, tile and bronze fixtures. On the second level you will find a huge carpeted bonus room w/ limitless possibilities for storage, media room, or a play room. You need to see this for yourself!